I've been pretty excited this last week to try making a S'mores (s'more?) 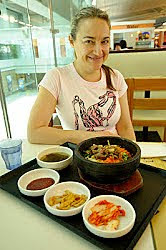 for a Foodie Friday*, after spying them on The Fitnessista blog. Previously my only experience with a s'more(s) was an ill-fated attempt to eat a s'mores flavoured Myoplex bar. I didn't know that a s'mores was an actual, real life, thing. I just thought it was an especially naff flavour of protein bar with a cutesy name. 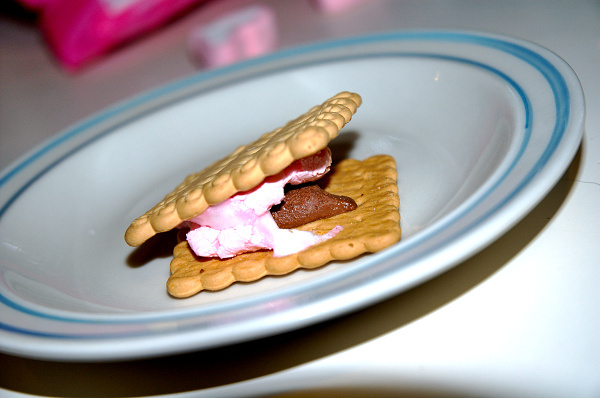 A s'more (sometimes spelled smore) is a traditional nighttime campfire treat popular in the United States and Canada consisting of a roasted marshmallow and a layer of chocolatesandwiched between two pieces of graham cracker. So says, Wiki. Therefore it must be true. My method was not strictly traditional. Although we did have a blazing fire, I had neglected to get anything to spike the marshmallows. We grilled them. Sorry, boyscouts. Also, in spite of years of Americanisation, I still don't know what a graham cracker is, so used a gluten-free sweet cracker. Really, this was the ideal dessert for a busy week. Hardly any preparation or cleaning up, leaving me more time to get on with that survey that is coming your way, volunteers. :-/ Any moment now, I promise. I hope your weekend is starting with excitement and sunny days (and for my Aunty Kathi currently in Egypt.. blazing hot days, cool cocktails and camel-riding). Have you made S'mores? Are mine acceptable do you think? *For my new readers: 'Foodie Friday' is that one meal (or sometimes... two) in a week where I forget about any self-imposed rules and just eat what I want. Call it 'soul food'. I don't think you can get Graham Crackers outside the US...or anyway, not in these parts. USA Foods here in Melbourne stock all kinds of imported American treats (many of dubious nutritional value) but they state on their website that they won't import Graham Crackers because they're too fragile and would end up as smooshed-up crumbs. I like your improvisation. Especially the heart shaped marshmallows. Cute. Those were the only gluten-free ones! They puffed up really well under the grill too - I should have taken a pic of that, but it required fast moving to get them out of there without burning. I've never seen graham crackers here either, and the Liberty Market has EVERYTHING. They are the heaviest importers in town of processed food, although they make a very big deal that their produce is only local. I guess there is a balance there. For once you feature something I instantly think I can make. Impress my flatmates. How many carbs? Will I lift first? I think so! 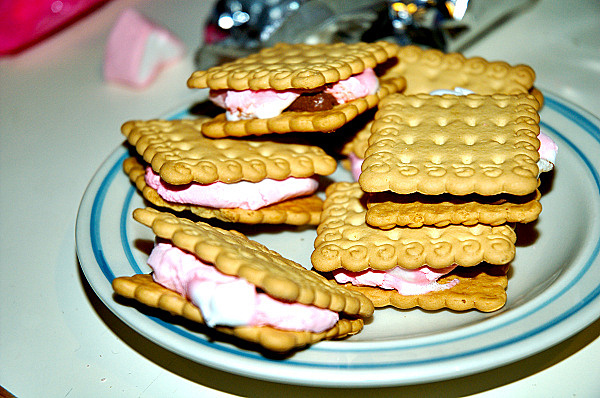 As an American who has much experience in actual s'mores, I can say these are close but one can never replicate the true s'more without the Graham Cracker and somewhat burnt edges of the marshmellow from the campfire. 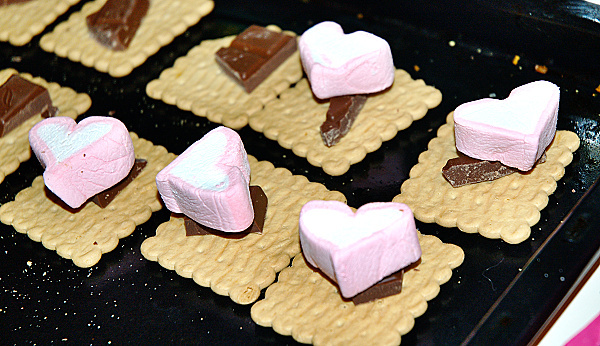 It's a shame you can't get graham crackers here-there really is nothing else like a true graham cracker, campfire s'more! ;-0 "A" for effort though!